(MoneyWatch) The Spanish government today asked for international aid to bailout its banks because it says it has been shut out of the bond markets by rising interest rates. 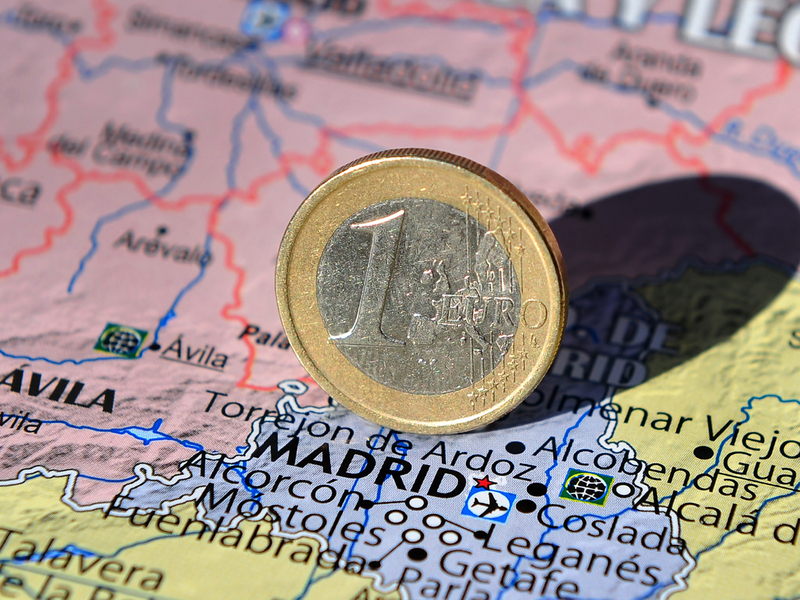 The announcement by Budget Minister Cristobal Montoro is a radical reversal by Madrid which just last week was insisting it would be able to handle the crisis on its own. Montoro said in a radio interview that Spain could not afford to borrow more money because of steep risk premiums demanded by sovereign bond investors. "What this premium tells us is that the state, and Spain as a whole, has a problem when it comes to accessing markets, when we need to refinance our debt," he said. "What that premium says is that Spain doesn't have the market's door open, as such, the challenge is to open that door and regain the confidence of those markets, our creditors." The Spanish government, already overwhelmed with debt problems in its regional governments and at most of its other banks, hopes that international aid for its severely crippled banking sector will allow it to avoid needing a bailout for the government as a whole. Emilio Botin, chairman of Santander bank, has said the country's total banking system needs about $49 billion of new capital. Most foreign analysts believe the sum required is considerably higher. The issue came to a head two weeks ago with the collapse of Bankia, Spain's fourth-biggest lender. That was when the bank's board of directors told the government it needed $23 billion in capital if it was to continue operating. Most of the banks in Spain which are smaller than Bankia are believed to be in equally dire condition. Prime Minister Mario Rajoy had desperately tried to find another way to fund the bailout out of concern international action would further weaken what little investor confidence remains in the nation's economy. Over the weekend, Rajoy called for creation of a centralized EU-wide bank system to recapitalize lenders. He has also proposed instituting so called "eurobonds," or joint debt that would be guaranteed by EU governments. Both proposals are opposed by the German government, which is concerned it would just mean Germans would have to pay more to bailout other nations. Some analysts believe there are still things the EU can do to avert a bailout. "One way would be a rule change to let the ECB lend directly to banks instead of just to the national central banks," Michelle Gibley, Schwab director of international research, told MoneyWatch. The call for international help came despite a slight drop in Spanish bond rates in midday trading on Tuesday. The 10-year and 5-year bonds were down around 0.80 percent and 2-year bonds were down 0.38.